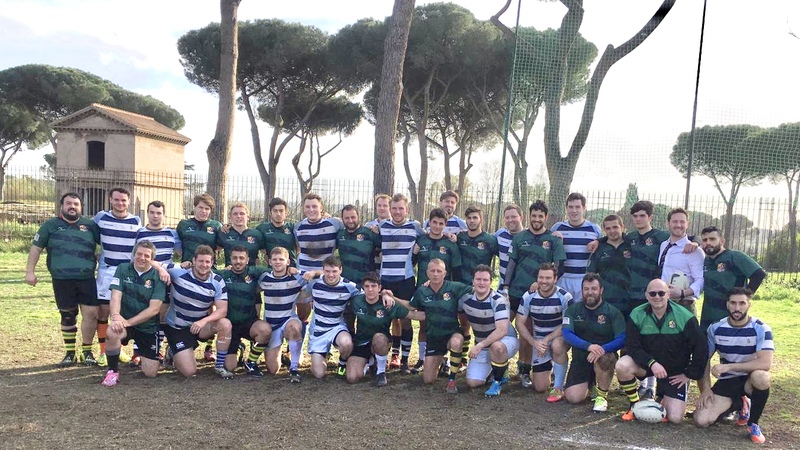 After successful trips around the UK, Ireland and Madrid, anticipation was high for this year’s Pilgrims rugby tour, particularly given the destination was the home of fine wine, pizza, carbonara and divine cheese. 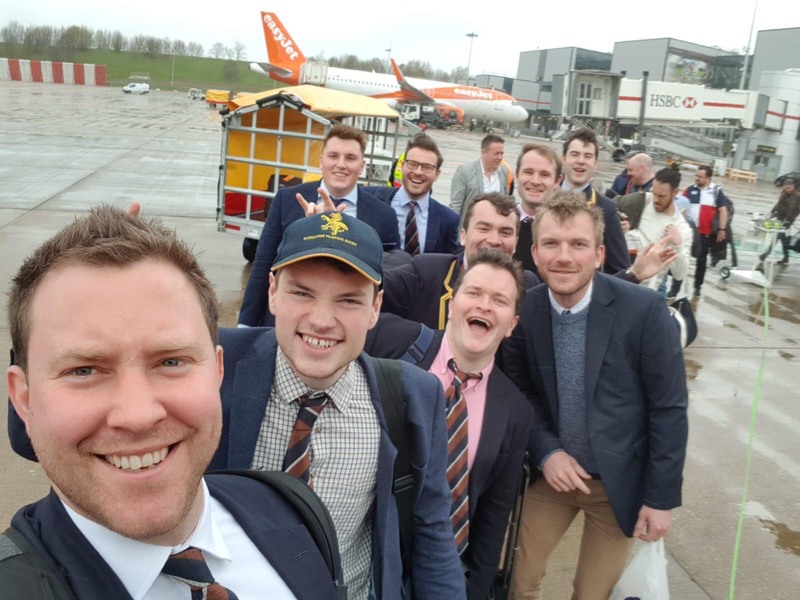 The weekend once again conveniently fell on the final round of the Six Nations and much like the England team, the Pilgrims were hopeful of a fruitful campaign. 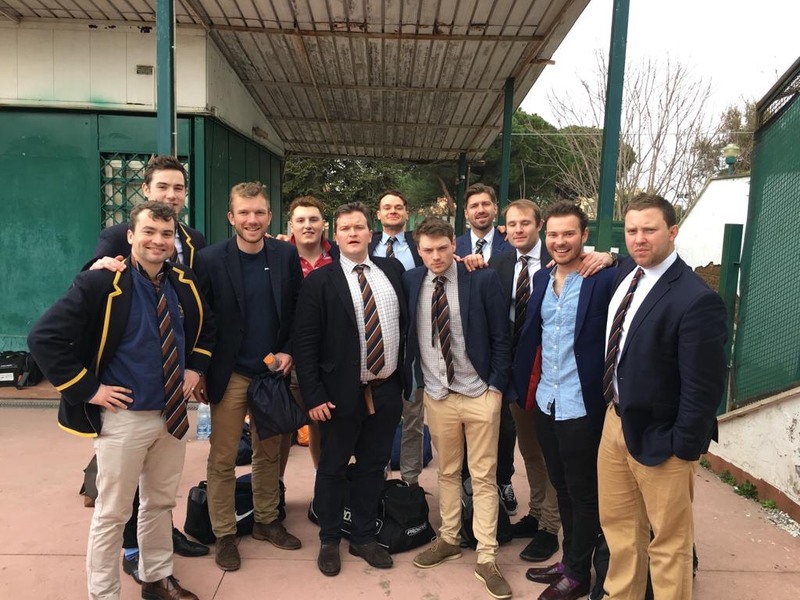 Unlike the national side, our rugby boys got the job the done on and off the pitch. Full of energy we travelled safely to Italy, with that evening enjoyed in true Sherborne fashion. Gameday was the following morning, with a few sore heads being endured before the big match against Arnold Rugby, none more so than that of Phil Anscombe, even with his executive suite for the night. The cobwebs were blown out in the opening five minutes of the clash, and after a hamstrung Hugh Willis failed to cross the whitewash, it was fittingly Anscombe who first got over the line. This cued a flurry of scores for the Pilgrims who led 28-0 after the first period, and a mention must go to club captain James Capel who went on to pick up a hat trick. Arnold were allowed back in it in the closing stages as the Pilgrims suffered from fatigue and injury in the near Mediterranean conditions. Ed Bonnell and Jack Lyons showed their finishing skills with a couple of scores each, but spare a though for our propping pair of Henry Ritchie and George Syradd-Chown who battled hard in the heat, and were rewarded by some fabulous scores of their own. The Pilgrims went on to claim a 65-28 victory. Arnold showed us great hospitality, putting on their finest pasta and Peroni’s for a cultural match tea. Bathed in the sunshine and surrounded by ancient ruins, the setting was pretty spectacular. After some much-needed food, we descended upon the local Irish bar to watch the Six Nations action, with England’s near capitulation only adding fuel to the fire for the evening. ‘Order’ was restored, as the boys enjoyed what the city had to offere the trip back to Blighty. Upon reflection, “when in Rome, do as the Shirburnians do” isn’t a bad mantra to live by.